In my first post before Global Game Jam 2019 I mentioned I was working on porting Donsol to the N64, and that I’d be spending the weekend getting the game code running in C.
Since I’ll be at a Jam site I wont have access to my N64 or computer with Windows XP on it, I’ll just be doing the game code in a console window. Working on porting Donsol to the N64. Working on a little game engine called AFEX. Keeping it short for now, but my goal for Donsol is to have the game code completed this weekend (or at least a simple version of it). Since I’ll be at a Jam site I wont have access to my N64 or computer with Windows XP on it, I’ll just be doing the game code in a console window. Afex is just a little toy engine, no specific goals for it - just trying out new technologies and techniques. Currently trying to see if entt is right for me. No timeline for that yet. 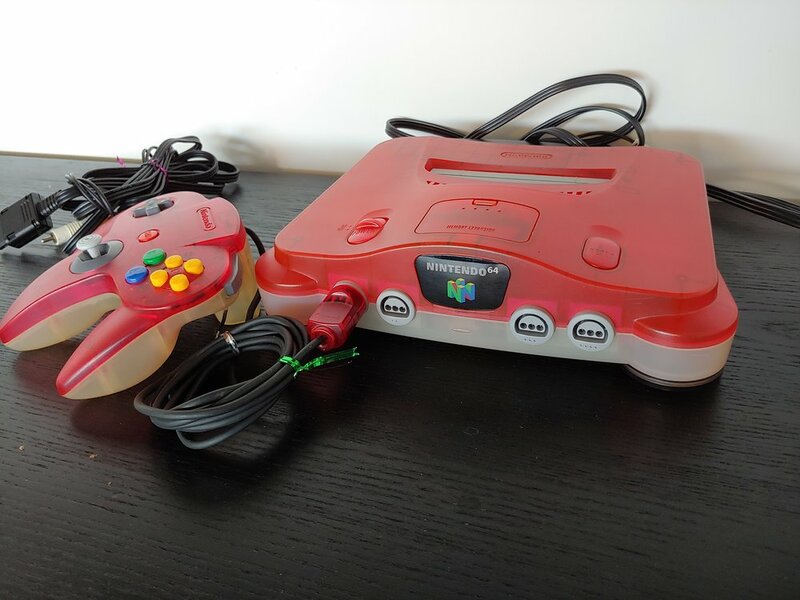 My N64! Modified to work with North American carts.